The USPG conference in Swanwick, Derbyshire, came to an end this afternoon with the Closing Eucharist celebrated by the Revd Karen Turner, a former volunteer with Journey with Us in Belize. The Revd Dominque Turnham, a former volunteer with Journey with Us in Belize, was the deacon. Janette O’Neill, USPG General Secretary, illustrated her sermon with experiences of work with refugees on island of Lesbos in Greece and work with the Church in Pakistan. Volunteer days are being organised in 10 regional hubs in autumn, and a major mission conference in London in Spring 2017 will hear voices from around the world. This Harvest, USPG is focusing on the work of the Church of Ceylon among marginalised tea plantation communities. USPG is supporting a church programme that is providing young children with an education and a healthy diet, giving them a good start in life. Life on Sri Lanka’s tea plantations can be a very challenging. The work is hard. The families of tea pickers live in small houses. Healthcare and schooling is scarce. But education provides a way forward. Children from these vulnerable communities are being enabled to gain qualifications, enter university and find jobs. Through this process, communities are slowly being raised out of poverty and they are learning how to access their rights. The resources being prepared include Harvest films, all-age worship materials, a children’s activity sheet, liturgical resources, PowerPoints and talks, and a fundraising poster. Before this morning’s conference session closed, we were treated to a short Christmas drama based on two experiences in real life, and heard the news that an SPG missionary is to feature on the Christmas Day edition of Call the Midwife, when on Christmas Day, in which the coroner will be named Dr Edgar Ruddock. The annual conference of USPG returned to the Hayes Conference Centre at Swanwick in Derbyshire this week after an absence of six years. 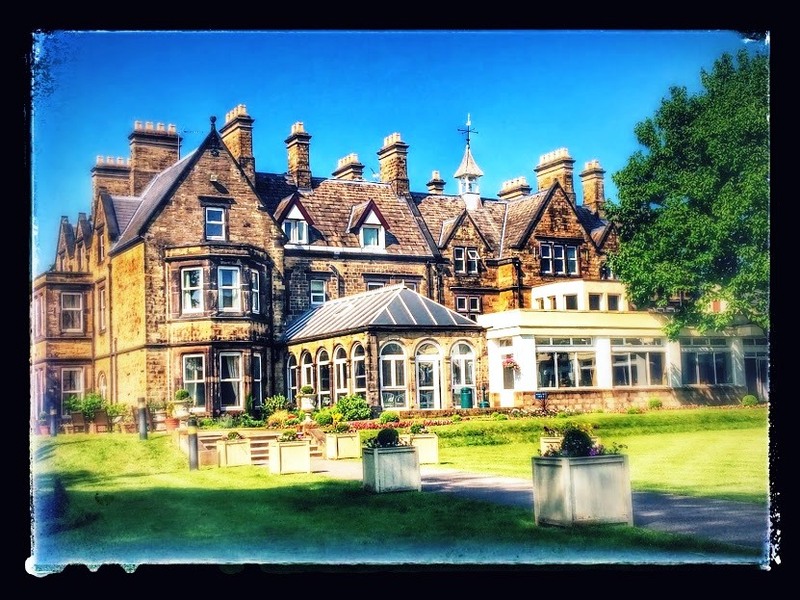 Since the last conference here in 2010, Swanwick has celebrated its centenary as a conference room, and many of the facilities have been updated without losing the character of this old house. It is 40 years since I first attended a conference at Swanwick. It was a peace conference in 1976, and one of the speakers was Bruce Kent, who then involved in Pax Christi. Both of us quickly found ourselves being involved in the Campaign for Nuclear Disarmament (CND). I remember well how I had a room in the old house at Swanwick that year, much to the amusement – perhaps even slight jealousy – of other conference delegates, who realised that there is something special about this house. I was back in Swanwick for a few peace conferences since then, in the late 1970s or early 1980s, and then – after an absence of decades – for USPG conferences in 2008 and 2010. For five years, from 2011 to 2015, the USPG conferences have been held in High Leigh in Hertfordshire, and we are back there again this year. But it was delightful to be back in Derbyshire this week, and we have been blessed with glorious summer sunshine throughout the conference. Swanwick became a Christian conference centre in 1911, providing residential and day conference facilities for up to 400 delegates. It is set in beautiful Derbyshire countryside, and several church-based organisations have been using this place each year for more than half a century 50 years. Swanwick is an old Derbyshire village, midway between Ripley and Alfreton. Before the Hayes was built in the 1860s, several families have figured prominently in the history of Swanwick. The Turners, beginning with George Turner in 1620, owned the local mineral rights and became coal magnates, until the death of Charles Turner in 1736. John Turner built Swanwick Hall around 1690. Elizabeth Turner built a school in 1740 for 20 children from poor families. The school house is now a private residence. The other most significant family was the Woods, who occupied the original Swanwick Hall (‘The Old Hall’) in what is known as Wood’s Yard, and was built in 1678. A famous painting by Joseph Wright of Derby of Hugo Wood and his children used to hang in the family dining room in Swanwick Hall. Joseph Wright also painted the work of art that raised £550,000 at auction last year to support the work of USPG and the Anglican chaplaincy in Athens with refugees in Greece. The Meynell family had inherited the painting of Julia, and Mary Maynell was an ancestor of FitzHerbert Wright family of Swanwick, marrying William FitzHerbert (1712-1772) of Tissington. In the late 18th century, the Butterley Company changed the face of Swanwick. The company took any surplus labour that Swanwick had and a new turnpike from Alfreton to Derby opened in 1807. Much of the land around the centre of the old village was built on at this time. Swanwick Hayes – now the Hayes Conference Centre – was built by the Derbyshire industrialist, Francis Wright, in 1860s as a wedding present for his son, FitzHerbert Wright (1841-1910), when he married Charlotte Rudolphine Louise von Beckman (1848-1932), the daughter of a German pastor, in 1865. Fitzherbert Wright’s father was a leading Derbyshire industrialist, while his mother, Selina FitzHerbert, was a daughter of Sir Henry FitzHerbert (1783-1858) of Tissington Hall, an early 17th-century Jacobean mansion house at Tissington, near Ashbourne. The FitzHerberts acquired Tissington by marriage in 1465. The old moated manor at Tissington was replaced with the new mansion in 1609 by Francis FitzHerbert, and it remains the home of the FitzHerbert family. Today, it is the home of Sir Richard Ranulph FitzHerbert. These connections are recaled in the name of the Tissington Room on the ground floor of Lakeside, where I have been staying since Monday. FitzHerbert Wright had interests in the Butterley ironworks and local coalmines, and was a county councillor and JP. When he was retiring from the Butterley Company as managing director in 1903, he paid for a new tower as a gift for the Parish Church of Saint Andrew, which was built at the cross-roads in Swanwick in 1860. FitzHerbert Wright died on 19 December 1910, and in 1911, the FitzHerbert Wright family sold the house for £11,500, about a fifth of its original building cost, to the First Conference Estate Ltd, and it was converted into the Christian conference centre that operates to this day. During World War II, the Hayes was used as a prisoner of war camp for German and Italian prisoners. Franz von Werra, a Luftwaffe officer, escaped from here, but was recaptured at nearby RAF Hucknall as he tried to steal an aircraft. He later made the only verified German escape, from Canada. Well-dressing survives as an old Derbyshire tradition, and at one time there were several wells around Swanwick, often in obscure places. By far the largest well once stand on Hayes Lane close to the entrance to the Hayes Conference Centre. This was a massive Victorian affair with a large seat. However, it was removed in the 1970s to make room for housing on Hayes Lane. The remains of the well were supposedly buried on the Chapel Street recreation ground. But when he Parish Council tried to find them, the search was soon abandoned – the stones had either been placed under the pavilion or had been taken and are now serving as fireplaces in Swanwick. Undaunted, the council decided to build a new well to celebrate Queen Elizabeth II’s Golden Jubilee in 2002. The new well was placed on Broadway Head close to Saint Andrew’s Church. Now every year a well-dressing ceremony takes place in Swanwick, with Morris Dancing as a feature. Today, the Hayes is one of the largest conference centres of its type. But past stories are cherished with names on rooms such as Butterley, Tissington, Haddon, Chatsworth and Alan Booth. The USPG conference returns to High Leigh next year (17-19 July 2017), but perhaps I shall return to Swanwick soon. 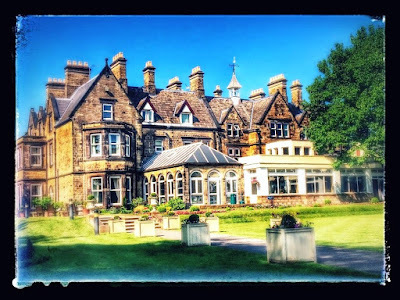 I am spending this week at the annual conference of the Anglican mission agency, USPG, at the Hayes Conference Centre in Swanwick, on the edges of Alfreton in Derbyshire. When the council of USPG met this evening, there was a warm welcome for the decision to return to the use of the USPG, following a few difficult years in which the use of the names United Society and ‘Us’ had been a difficult rebranding that made members and supporters uneasy. On Monday evening, there was also a welcoming and positive response when the general secretary, Janette O’Neill, announced that the society is going to return to using the name USPG. Many people within the USPG family had felt a loss of part of the identity of their commitment to mission in the Anglican tradition with the rebranding. The name is not the focus, rather people are going to be captivated by the work that is going on and that we are hearing about this week. “This is not a move backward, we’re moving forward,” she said. Canon Andrew Wingate congratulated the trustees and staff on making this move, and asked how this was going to be announced. He was told that the decision is official now, but work is continuing on a new logo and tagline. The name is also being promoted at Greenbelt (26-29 August 2016), into autumn and the Advent in the Church press. A team of ordinands from Westcott House, Cambridge, is leading our worship this week. As we sang our opening hymn and responded to the intercession, I was aware of the difficulties in using the name ‘Us’ in public worship. Last night we also elected five new trustees: Bishop John McDowell (Clogher), Mr Richard Barrett (Worcester), Ms Leah Nuth (London), Mr Christopher Rogers (Southwark) and the Revd Dr Daphne Green (York). Tributes were also paid to two retiring trustees: Canon Christopher Burke (Sheffield) and Nigel Wildish (London). But both Chris and Nigel are going to continue as members of the council of USPG. Among the 18 people we remembered in the obituaries at last night’s prayers was the Cambridge Church Historian, Professor Owen Chadwick, who died last July and who had been a council member for UMCA. It was a link back to the mission agency that gave the name United and the initial U in USPG.